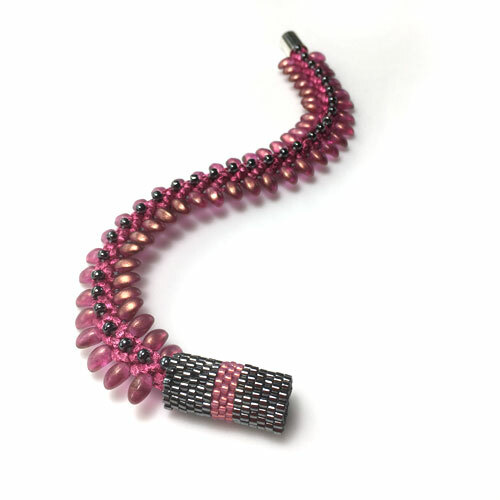 This kumihimo bracelet kit combines 100% Nylon Ribbon, C-Lon Bead Cord, with gorgeous Lily Petal Czech beads on both edges, and Miyuki duracoat metallic beads on the top central ridge. 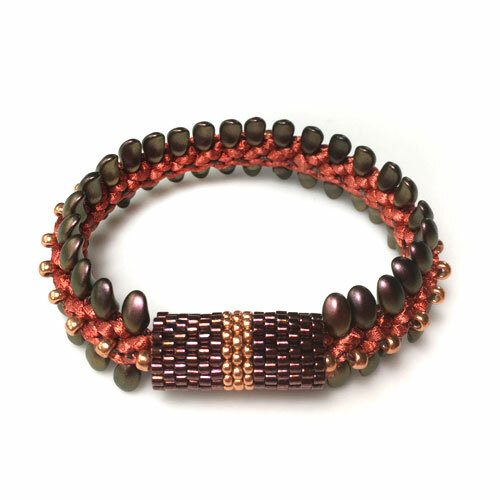 There is no beads on the inside of the bracelet, making it very comfortable to wear. This kit is available in three colors! 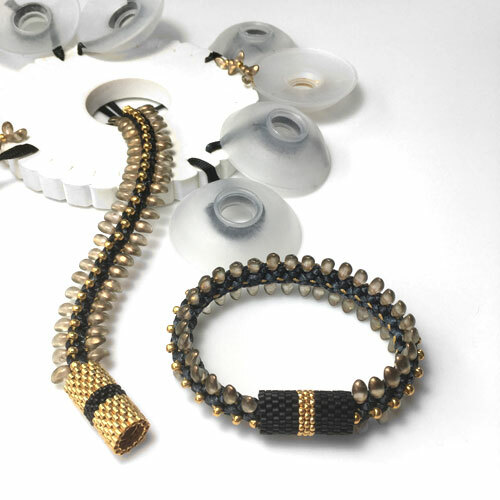 This bracelet kit includes all the beads, the 100% Nylon Ribbon, the C-Lon Bead Cord, thread, clasp, and the copyrighted instructions available in a downloadable PDF format. The kit is available in three coordinated colorways. The kit includes a 14 page manual with over 35 pictures making this project easy even if it is your first kumihimo project. 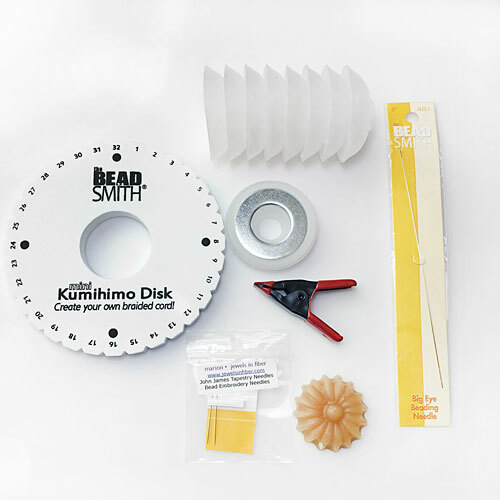 The instructions include how to set up your cords on the K-Disk, how to load the beads, how to braid, how to braid with beads, how to remove your project from the K-Disk, how to prepare the ends for the clasp, and how to finish the project. It has a what if? 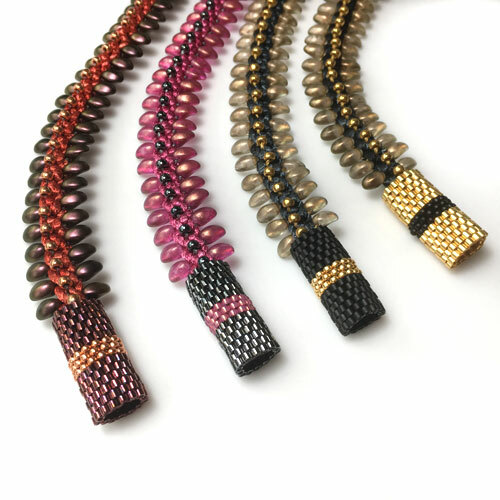 section, plus standard bracelet lengths, and how to care for the pieces, plus links to online resources with a bracelet length calculator to help you size kumihimo bracelets, and the links to the Peyote Sleeve instructions. The 100% Nylon Ribbon and C-Lon Bead Cord are pre-cut and bound, ready to be inserted in the slots in the kumihimo disk for your convenience. Tool Bags, designed for this specific project include: a Mini K-Disk, 8 EZ-Bobs, one Weighted EZ-Bob, a Mini-Clamp, Beeswax, and two Bead Embroidery Needles. If you have all the beads, materials and tools on hand, you can purchase the PDF manual by itself. 1 Peyote Sleeve Packs: Choose color of central stripe. All the tools for this kumihimo project in a bag... 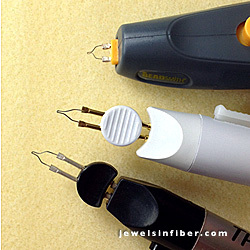 In addition you will need scissors, micro-tip pruning snip, plus an adhesive to attach the clasp such as Poly Zap Super Glue, Zap Jewelry Gel or Devcon 5-Minute Epoxy. A thread burner is recommended finishing the thread ends of the Peyote Sleeves. A bead mat is recommended and included with the larger bag.